Grampians Central West Waste & Resource Recovery Group is getting closer to a solution for farmers with the plastic waste generated on farm. The last bumper grain harvest has seen a rise in the use of grain bags and as they are being emptied questions arise over their disposal and recyclability. “We know a lack of storage in many parts of the region has resulted in a greater uptake of grain bags as alternate storage this year,” explained La Vergne Lehmann, Acting Executive Officer of GCWWRRG. 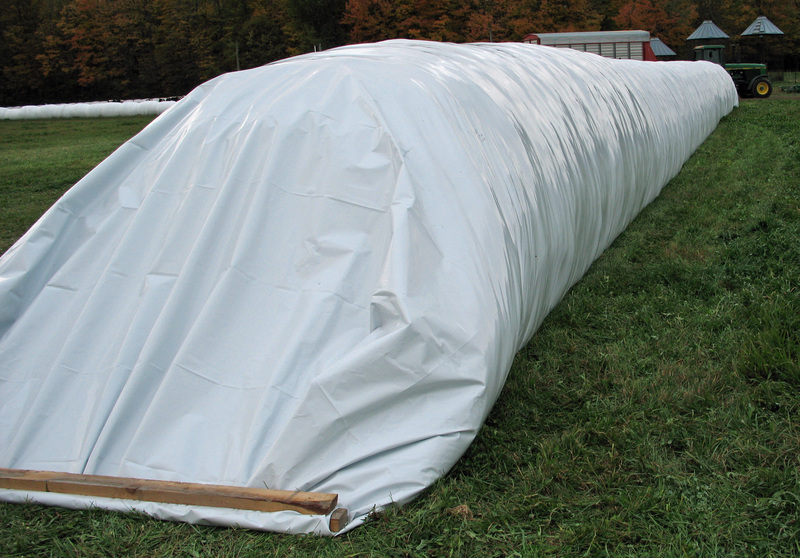 The grain bags are made from low density polyethylene and can weigh up to 150 kilograms for a 100 metre-long bag. The Group has been working with local businesses Carine’s Merchandise and Wastebusters in Horsham and Paperfreight in Ballarat to develop a low cost alternative to deal with the bags. “We know farmers are prepared to take responsibility for dealing with the bags, but we also know that we need to make getting rid of them as easy as possible,” Mrs Lehmann said. Farmers are encouraged to contact us GCWWRRG for more information and advice on flexible agriculture plastic waste they may have on farm.